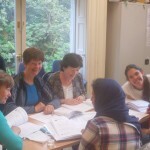 Fáilte Isteach (Welcome in) is part of a national network of free English conversation classes delivered by our fully trained volunteer tutors. 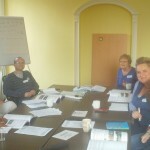 The Classes will run on Thursday mornings from 9.30am to 11.45am.T his project is managed by the national voluntary organisation Third Age and there are currently over 50 centres offering the classes each week across Ireland. 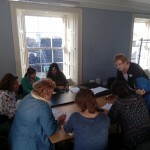 Croí na Gaillimhe is one of the three centres offering the classes in Galway City. 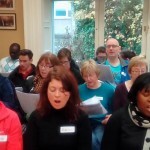 The classes run over 2 terms: September-December 2018 and January-May 2019. Registration will take place in the centre from August 2018 just call into reception and complete a registration form, you can complete a form and we will call you as soon as a space becomes available. 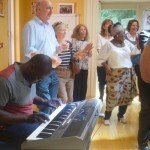 The registration fee is €30-€10 depending on income. Places are limited. 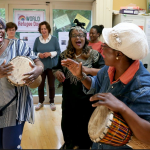 To mark world refugee day we celebrated with a morning of music and song from the Croí na Gaillimhe One World Voice Choir, this choir has participants from the Asylum seeking community and the local community and was followed by light refreshments, and some music and dance.